The Essential Services Renewal in Lansing passed with 69-percent of voters say yes. It pays for the police and fire departments, as well as road and sidewalk maintenance. 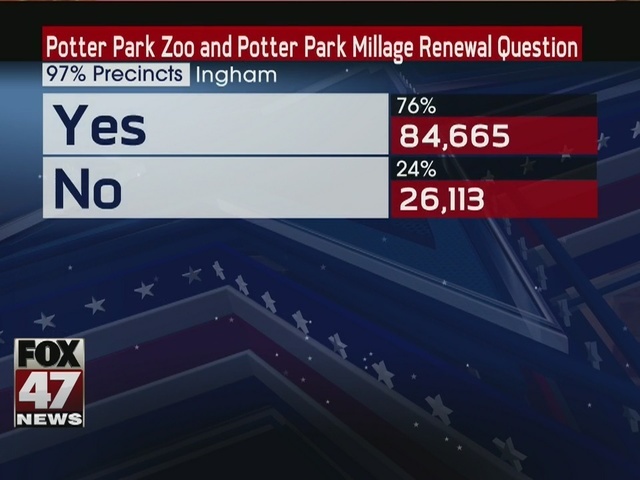 The Potter Park Zoo millage renewal has also passed. 77-percent of voters said yes. For full election results by county, click here .